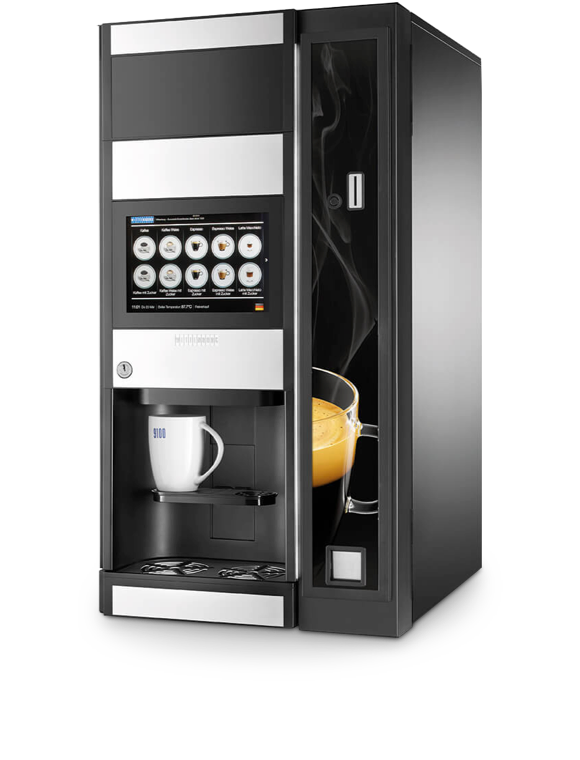 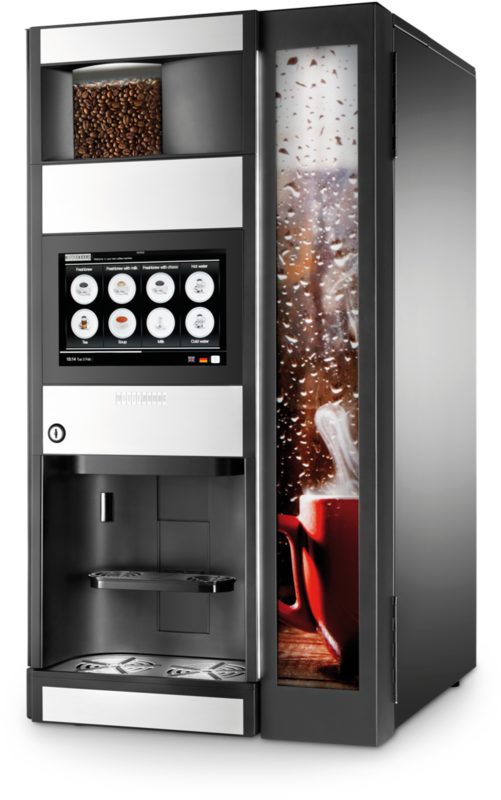 Wittenborg has added a new touch to hot beverage vending: The Wittenborg 9100 range does not only feature high-quality drinks but also a user-friendly touch screen technology to set new standards. 9100 is the new generation of Wittenborg vending machines, a further leap forward in design. 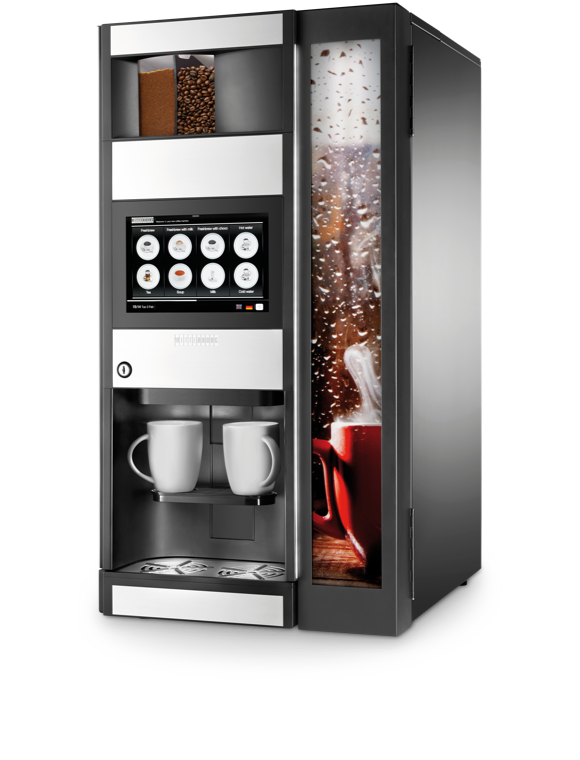 It offers a wide specter of high-quality selections and choices based on various drink technologies. 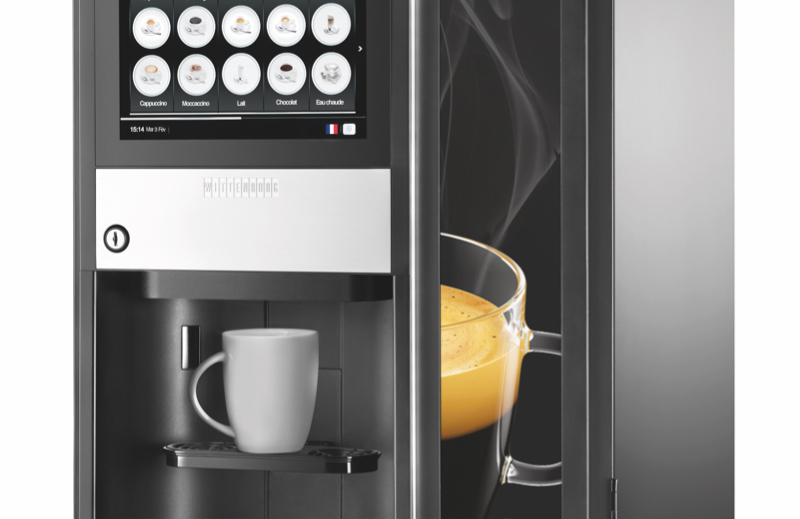 The process of choosing is made easy by the intuitive interface of the 10'' HD screen, visually guiding the user. 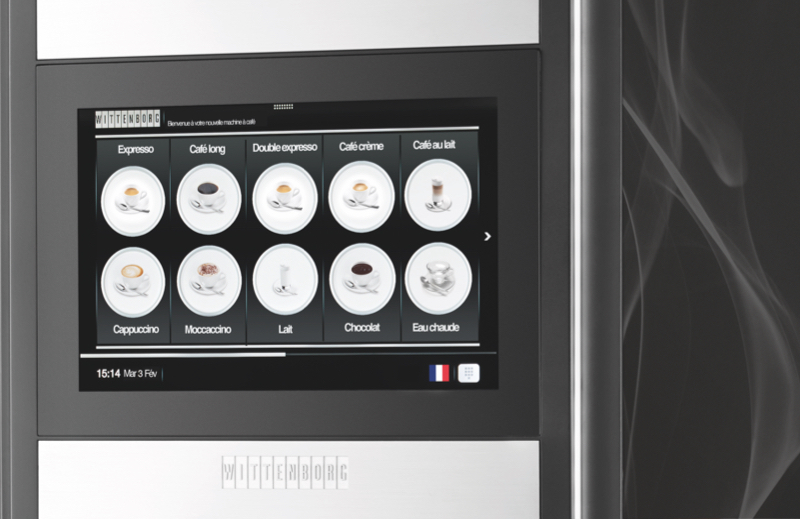 10’’ touch screen - 1280 x 800 - offers a visual guide, making choices easy. 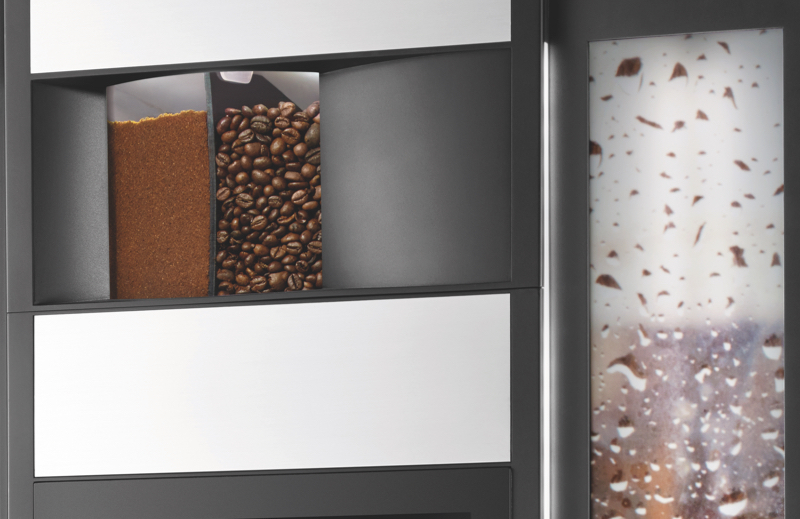 The flexible canister may offer two blends of coffee at the same time, or even whole beans and roast and ground, to suit different preferences. 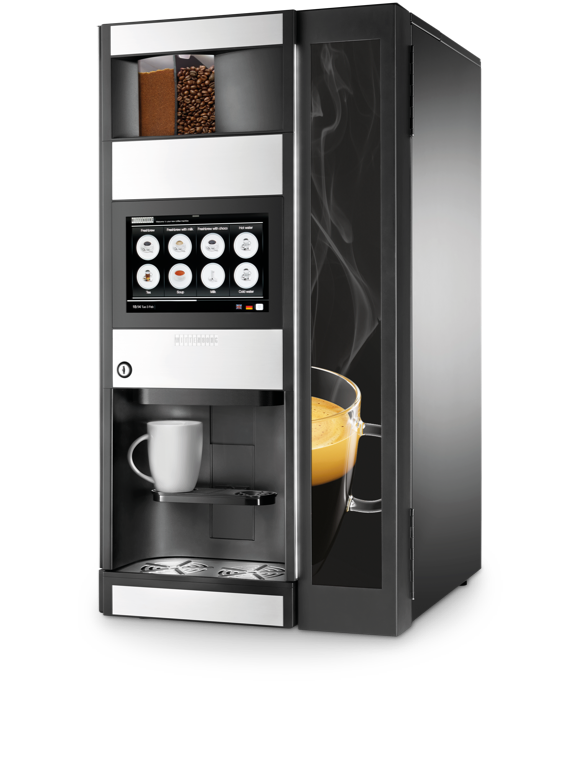 Espresso or fresh brew coffee, cappuccino, caffe latte or a creamy cup of chocolate.